A new Treasury ruling will allow people to buy health insurance that has lower premiums, lower deductibles and broader networks of providers. For the first time since the enactment of Obamacare, people will be able to buy insurance that meets individual and family needs rather than the needs of politicians and bureaucrats. They will also be able to pay actuarially fair premiums. These new plans are predicted to be popular, with the expected number of enrollees ranging from 1.9 million (Medicare’s chief actuary) to 2.1 million (Urban Institute). The Congressional Budget Office and the Joint Committee on Taxation put the number at 2.0 million. So, who could be against this welcome opportunity? Answer: Almost everyone, except the people who plan to buy the insurance, that is. The opponents include Blue Cross, AHIP (the insurance industry’s trade group) and virtually every other stakeholder. Before finalizing the rule, the government received about 12,000 comments. According to an analysis by the Los Angeles Times, 98% of them were negative. “Not a single group representing patients, physicians, nurses or hospitals voiced support,” the newspaper noted. Think about that. Roughly 2 million people are about to get the opportunity to buy insurance that meets their needs for a fair price and virtually every special interest in the entire health care system wants to stop them. Why is that? Explanation below. But remember, there was a reason why the Berlin Wall was manned by armed guards for so many years, keeping people from crossing to freedom. The ruling pertains to “short-term, limited duration” health plans. These plans are exempt from Obamacare regulations, including mandated benefits and a prohibition on pricing based on expected health expenses. Although they typically last up to 12 months, the Obama administration restricted them to 3 months and outlawed renewal guarantees that protect people who develop a costly health condition from facing a big premium hike on their next purchase. The Trump administration has now reversed those decisions, allowing short-term plans to last up to 12 months and allowing guaranteed renewals up to three years. 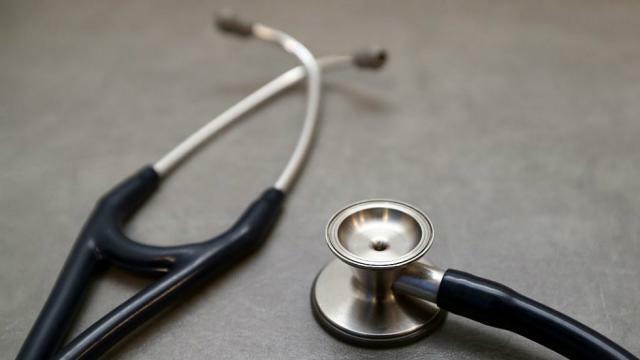 The ruling also allows the sale of a separate plan, call “health status insurance,” that protects people from premium increases due to a change in health condition should they want to buy short-term insurance for another 3 years. By stringing together these two types of insurance, people will likely be able to remain insured indefinitely. The new plans will probably include most doctors and hospitals in their networks. And they are likely to look like the kind of insurance that was popular before we had Obamacare. In explaining the motivation for the ruling, the Treasury Department document points to an “alarming” 20% decline last year in the number of people who are enrolled in the individual market and not getting subsidies (e.g., an individual earning more than $48,160). In some states, the decline was even worse, with enrollment dropping by more than 40% in six states, including a 73% decline in Arizona. These are the classic symptoms of a death spiral. Over the past four years, many people have seen their insurance premiums double and in some cases triple, while the networks have shrunk so much that they omit the best doctors and the best hospitals. The Treasury document says that in half the counties in the country, there is only one monopoly insurer. In most cases the insurer is a Medicaid contractor. The plans they are selling look like Medicaid, or something even worse. So why are so many organizations opposed to giving people a way out? 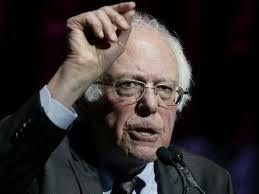 Because most people in health care believe in private sector socialism, at least when they are not advocating public sector socialism. They don’t want you to be able to buy health insurance for a fair premium, the way you buy life insurance, homeowner’s insurance, or any other kind of insurance. In short, they want the healthy to over-pay so that the sick can underpay. And the only way that can happen is if the healthy are trapped with no means of escape. Put differently, the Obama administration and Democrats in Congress wanted to give a gift to a small number of high-cost patients who migrated from group plans to the individual market and faced exclusions, riders or outright denial of coverage. The goal was commendable, but they didn’t want to pay for it with taxpayer dollars. Instead, for the last four years, they have been trying to pay for this benefit by pushing the cost off on other insurance buyers. The individual market is a small part of the market for private health insurance – only 5% to 6% of the total. Yet the states have been allowed to end their risk pools and dump those enrollees into this market. Similarly, cities and counties and large employers have been able to end their post-retirement health plans and send their high-cost retirees to the individual market. Chronic patients in employer plans also now have an opportunity to go to the individual market for subsidized insurance. These developments have caused premiums to skyrocket, deductibles to soar, and created a race to the bottom on quality and access to care. Take the case of an Iowa teenager with a rare case of hemophilia. This one patient cost Wellmark Blue Cross & Blue Shield $1 million a month and was responsible for 10 percentage points of Wellmark’s 43% premium increase last year in Iowa’s tiny individual market. It helped spur the insurer’s complete withdrawal from the market this year. This is an example of a social problem that society as a whole should resolve. There is no reason to make the small number of people who buy their own insurance shoulder the entire cost, and to build the health equivalent of a Berlin Wall in an effort to keep them from paying actuarially fair prices for insurance that meets their needs. The Affordable Care Act (ACA) expanded health insurance coverage in part by prohibiting discrimination against people with pre-existing conditions and offering subsidies to low-income people purchasing through newly-created exchanges on the individual insurance market. In this analysis, we use publicly-available federal enrollment data and administrative data insurers report to the National Association of Insurance Commissioners (as compiled by Mark Farrah Associates) to measure changes in enrollment in the individual market before and after the ACA’s coverage expansions and market rules went into effect in 2014 through the first quarter of 2018. The individual market comprises coverage purchased by individuals and families through the ACA’s exchanges (Marketplaces) as well as coverage purchased off-exchange, which includes both plans complying with the ACA’s rules and non-compliant coverage (e.g., grandfathered policies purchased before the ACA went into effect and short-term plans). It is a relatively small market as a share of the U.S. population, with about 10.6 million people enrolled in 2013 before the ACA went fully into effect1. Our analysis finds that, after increasing substantially (by 64% to 17.4 million people in 2015) following implementation of the ACA, enrollment in the individual market remained relatively unchanged in 2016 (at 17.0 million) then declined by 12% to 15.2 million in 2017. Enrollment has continued to fall in early 2018: first quarter enrollment has declined by 12% in 2018 compared to the first quarter of 20172. Much of this decline in overall individual market enrollment was concentrated in the off-exchange market, where enrollees are not eligible for federal premium subsidies and therefore were not cushioned from the significant premium increases in 2017 and 2018. Despite the recent decline in overall individual market enrollment, there are still 14.4 million people enrolled as of the first quarter of 2018, compared to 10.6 million people in 2013. As the ACA market rules and premium subsidies were implemented in 2014, there was significant growth in enrollment on the individual market. For the first time in nearly all states, people with pre-existing conditions could purchase coverage on an open marketplace and low-income people were eligible for tax credits to help pay their premiums and reductions in their cost sharing. 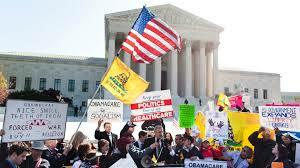 In addition, many people who went without insurance coverage had to pay a tax penalty. As of 2014, health plans had to follow new rules that standardized benefits and guaranteed coverage for those with pre-existing conditions when selling coverage to new customers (known as “ACA-compliant” plans). Following these changes, individual market enrollment increased substantially, expanding from 10.6 million members on average per month in 2013 to 17.4 million members in 2015 (Figure 1)3. This included an estimated 3.5 million people in non-ACA compliant plans — including short term plans, grandfathered plans, and plans purchased before October 2013 that were allowed to continue under a federal transition policy at the discretion of states and insurers. In 2016, total individual market enrollment was relatively unchanged from the previous year (at 17.0 million), though there was an apparent shift from non-compliant to ACA-compliant plans. In 2016, enrollment in non-compliant plans decreased by 1.3 million (38%), while ACA compliant enrollment (including both on and off-exchange plans) increased by 1 million people. Enrollment in the total individual market began to decline in 2017. Both compliant and non-compliant enrollment declined, suggesting that people ending transitional, non-compliant policies were not necessarily moving to the ACA-compliant market. In 2017, the individual market covered 15.2 million people on an average monthly basis, including 13.3 million people in compliant plans on and off the exchanges and 1.8 million people in non-compliant plans. First quarter enrollment data from 2018 shows that total individual enrollment continues to decline, even as enrollment on the ACA exchanges has remained relatively stable (see Figure 3). 14.4 million people are enrolled in the individual market as of the first quarter 2018, 12% lower than the first quarter of 2017 – a drop of about 2 million. After peaking at 11.1 million people in 2016, exchange enrollment has declined somewhat but has largely remained stable. In the first quarter of 2018, 10.6 million people were covered on the ACA exchanges, including 9.2 million people receiving federal premium subsidies (Figure 2)4. Declining off-exchange enrollment accounts for much of the drop in individual market enrollment since 2016. Total individual market enrollment began to decline in 2017 and has continued to fall in the first quarter of 2018 (Figure 3). Total individual market enrollment declined by 2 million people (12%) from the first quarter of 2017 to the first quarter of 2018. All of this decline was in the off-exchange market, which fell by 2.3 million people (38%). Exchange enrollment increased slightly by 313 thousand people (3%), reflecting an increase in enrollment among subsidized enrollees and a decrease among those not eligible for subsidies5. The “silver loading” of premiums in response to termination of cost-sharing subsidy payments to insurers in late 2017 inflated premium subsidies in 2018 and made zero-premium bronze plans possible for many more people. This may have boosted enrollment among subsidized consumers in 2018. Off-exchange enrollment includes ACA-compliant plans that are sold outside of the exchange but are part of the same risk pool. The primary distinction between on and off exchange ACA-compliant plans is that subsidies are only available through the exchange. To the extent that fewer people in good health buy off-exchange ACA-compliant plans, premiums in on-exchange plans are affected as well. Non-compliant plans – including grandfathered and short-term plans – that are not part of the ACA risk pool -are also included in off-exchange enrollment. In 2017, 3.6 million people were covered by off-exchange ACA compliant plans, and 1.8 million people had non-compliant plans6. 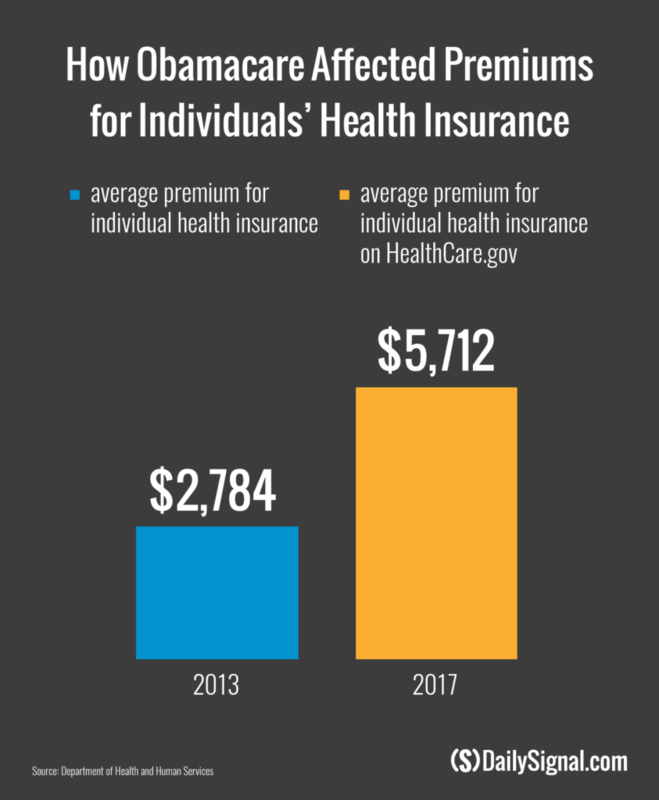 The decline in individual market enrollment coincides with significant premium increases in 2017 and 2018. In the early years of the ACA exchanges, insurers underestimated how sick the new risk pool would be and set premiums too low to cover their claims. A number of insurers then exited the market and the remaining insurers raised premiums substantially on average to match their costs (Figure 4). Our analysis of insurer financials showed the market was stabilizing by 2017 and insurers were starting to become profitable in the individual market for the first time under the ACA. Signs pointed toward the 2017 premium increases being a one-time market correction. However, premiums increased again in 2018, in large part compensating for uncertainty around enforcement of the individual mandate and the termination of cost sharing payments. While the vast majority of exchange consumers receive subsidies that protect them from premium increases, off-exchange consumers bear the full cost of premium increases each year. In 2017, states that had larger premium increases saw larger declines in unsubsidized ACA-compliant enrollment (Figure 5), suggesting a relationship between premium hikes and enrollment drops. No data are available to determine what is happening to people who have dropped off-exchange coverage. Some may now qualify for subsidies as premiums have risen, some may have obtained coverage elsewhere (e.g., through employer plans, or health care sharing ministries, which are not considered insurance and do not file any enrollment or financial information to regulators), and some may be uninsured. As off-exchange, unsubsidized enrollment has fallen, the total individual market has increasingly become dominated by subsidized enrollees. In the first quarter of 2018, nearly two-thirds of enrollees in the total individual market are subsidized (Figure 6). Looking ahead to 2019, the repeal of the individual mandate penalty has raised concerns of further enrollment declines in the individual market, particularly among people who are healthier than average. The expected expansion of loosely-regulated short-term health plans will also likely siphon away healthy people, pushing premiums up further for ACA-compliant plans on and off the exchange. While the majority of people on the exchanges receive subsidies and will be protected from premium increases, middle-class people who do not qualify for subsidies will feel the brunt of future premium increases. This is especially true of people with pre-existing conditions who likely would not qualify for short-term plans that base eligibility and premiums on people’s health. The availability of premium subsidies – which rise along with premiums – is likely sufficient to keep the individual insurance market financially sustainable in the face of policy changes and enrollment declines. However, based on the current trajectory, the market is likely to be increasingly dominated by lower-income people and those with pre-existing conditions. We analyzed publicly-available federal enrollment data from the Centers for Medicare and Medicaid Services (CMS), and insurer-reported enrollment and financial data from Health Coverage Portal TM, a market database maintained by Mark Farrah Associates, which includes information from the National Association of Insurance Commissioners (NAIC) and the California Department of Managed HealthCare. All total enrollment figures in this data note are for the individual health insurance market as a whole, which includes major medical insurance plans sold both on and off exchange. Exchange and compliant enrollment are from the Centers for Medicare and Medicaid Services (CMS). Total individual market enrollment is from administrative data insurers report to the National Association of Insurance Commissioners, and compiled by Mark Farrah Associates: annual enrollment is from the Supplemental Health Exhibit and first quarter enrollment is from the Exhibit of Premiums, Enrollment, and Utilization for health companies and rolled over from the prior year Supplemental Health Exhibit for life companies. Off-exchange enrollment is estimated by subtracting exchange enrollment from total enrollment in the individual market. Non-compliant enrollment is estimated by subtracting compliant enrollment from total enrollment in the individual market. CMS does not collect enrollment data for off-exchange ACA compliant plans in Massachusetts or Vermont; in these states non-compliant enrollment was estimated by applying the national average share of non-compliant off-exchange members to statewide off-exchange enrollment. Annual enrollment figures from 2011 – 2017 are for average monthly enrollment. Quarterly enrollment figures in 2018 are for effectuated enrollment (i.e., people who paid their first month’s premiums). Annual filings provide a more complete picture of the individual market and allow for estimates of compliant vs non-compliant enrollment. Quarterly filings provide a sense of how enrollment is changing on a more current basis. First quarter enrollment tends to be higher than average annual enrollment because the number of people who drop coverage throughout the year exceeds the number who purchase coverage through special enrollment periods outside of annual open enrollment. Rising prices, billing disputes, and a quirk in federal law are creating a new health-care headache. When three-year-old West Cox’s fever hit 107 degrees, doctors called a helicopter. Hours earlier, the toddler, who’d been prescribed an antibiotic for a suspected ear infection, was at home in Princeton, West Virginia, watching cartoons and eating chips and salsa. Then, during a nap, he started to have convulsions, and his mother, Tabitha Cox, a physician assistant, drove him to the emergency room, stripped to his shorts to cool. Tabitha remembers the triage nurse’s eyes widening when she took West’s temperature at Princeton Community Hospital, the only medical center in the small town on the southern edge of the state. Nurses covered him in ice packs to try to keep his temperature down. Patients running a fever that high can suffer permanent brain damage. Within an hour of his arrival at the emergency room, an air ambulance was on the way to take West to the CAMC Women and Children’s Hospital in Charleston. Flying would cut a 90-minute drive in half. During four nights in the pediatric intensive-care unit, West recovered from apparent encephalitis. Three years later, his parents are still reckoning with the aftermath of his 76-mile flight: a bill for $45,930 from for-profit helicopter operator Air Methods. At the heart of the dispute is a gap between what insurance will pay for the flight and what Air Methods says it must charge to keep flying. Michael Cox, West’s father and a track coach at Concord University, had health coverage through a plan for public employees. 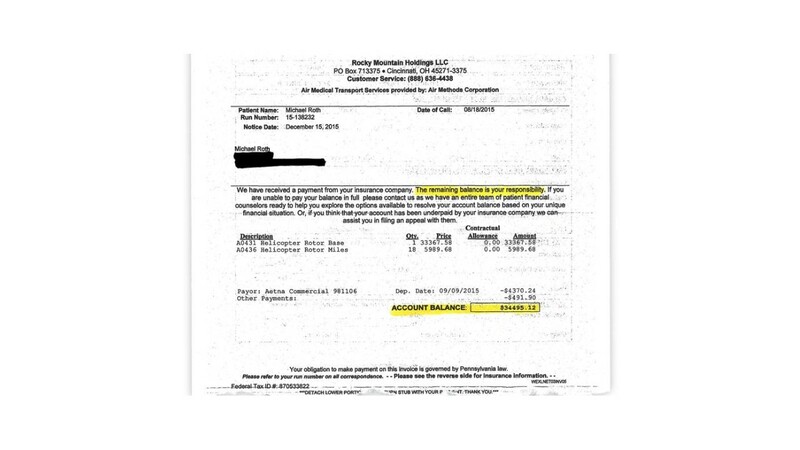 It paid $6,704—the amount, it says, Medicare would have paid for the trip. Air Methods billed the family for the rest. “I was angry and I felt like we were being taken advantage of,” said Tabitha Cox. The family sued Air Methods in August 2017, seeking certification for a class-action lawsuit against the company on behalf of other patients in West Virginia who received similar bills. “The fundamental problem is that the current reimbursement rates by Medicare, Medicaid, and some of the private insurance companies fall well short of what it actually costs to provide this lifesaving service,” Air Methods Executive Vice President JaeLynn Williams said in an interview. She declined to comment on specific patients’ cases. 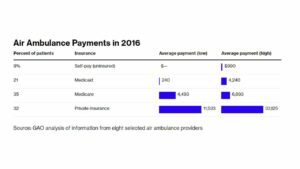 The median charge to Medicare for a medical helicopter flight more than doubled to almost $30,000 in 2014, from $14,000 in 2010, according to a report last year by the U.S. Government Accountability Office. Air Methods’ average charge ballooned, from $13,000 in 2007 to $49,800 in 2016, the GAO said. Medicare, the federal health program for people 65 and older, pays only a fraction of billed charges; Medicaid, the state-federal program for the poor, pays even less. Air-ambulance operators’ special legal status has helped them thwart efforts to control their rates. West Virginia’s legislature passed a law in 2016 capping what its employee-health plan—which covered West Cox—and its worker-compensation program would pay for air ambulances. Another company, Air Evac EMS, successfully challenged the caps in federal court. A judge ruled that the caps were pre-empted by the federal deregulation law and blocked the state from enforcing them. West Virginia has appealed the ruling. Wealthy investors lured by the industry’s rapid growth have acquired many of the biggest air-ambulance operators, leaving control of the business in the hands of private-equity groups. American Securities LLC bought Air Methods for $2.5 billion in March 2017. Rival Air Medical Group Holdings, which includes Air Evac and several other brands, has been owned by New York private-equity firm KKR & Co. LP since 2015. Two-thirds of medical helicopters operating in 2015 belonged to three for-profit providers, the GAO said in its report. Amy Harsch, a managing director at American Securities, declined to comment. Kristi Huller, a spokeswoman for KKR, declined to comment. Seth Myers, president of Air Evac, said that his company loses money on patients covered by Medicaid and Medicare, as well as those with no insurance. That’s about 75 percent of the people it flies. According to a 2017 report commissioned by the Association of Air Medical Services, an industry trade group, the typical cost per flight was $10,199 in 2015, and Medicare paid only 59 percent that. Air-medical operators back U.S. legislation proposed by Senator Dean Heller of Nevada and Representative Jackie Walorski of Indiana, both Republicans, that would boost reimbursements by as much as 20 percent over three years. 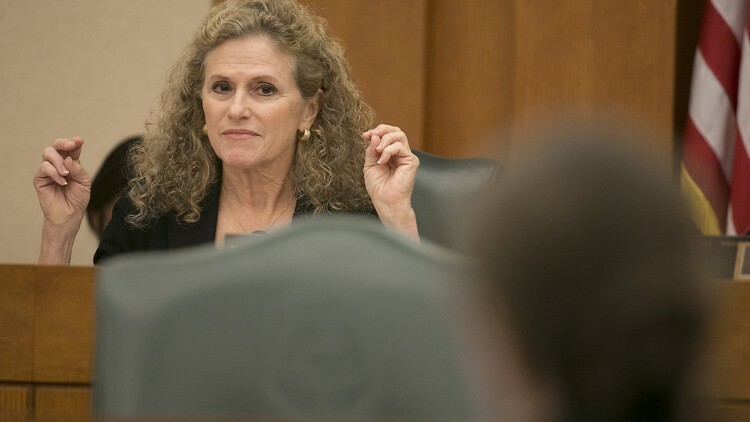 The bill would also have Medicare collect cost data from air-ambulance companies and use it to update rates to reflect “the actual costs of providing air ambulance services.” Both versions have co-sponsors from both parties. In 2015, Erin Roth’s father, Michael, was flown 18 miles by helicopter from Good Samaritan Hospital in Suffern, New York, to Westchester Medical Center in White Plains, after he collapsed on a work site and hit his head. Roth, who was 55, died from his injury. After workers-compensation insurance refused to cover the flight, his Aetna Inc. medical plan paid $4,370, and Air Methods’ subsidiary, Rocky Mountain Holdings LLC, sent the family a bill for $34,495. The air-ambulance company put a lien on Roth’s estate, preventing Erin from selling her father’s house. The dispute dragged on for two years, until a TV reporter Roth contacted looked into it, and Aetna paid the rest of the claim. “It was just kind of like a black cloud that was over my head the whole time,” she said. Air Methods and Aetna declined to comment on Roth’s situation. The industry says insurers put patients in the middle. “We need to hold the insurers’ feet to the fire to say we need a reasonable rate,” said Myers, the Air Evac executive. He said health plans often won’t agree to network contracts that could lower costs. He declined to say how large in-network discounts are, citing nondisclosure agreements. In response to a complaint filed with the state insurance commissioner by a West Virginia consumer last year, insurer Highmark Blue Cross Blue Shield wrote that it tried to negotiate a contract with Air Methods, but the company “refuses to discount its services by more than 3% of its total charge.” The consumer was appealing a $51,209 bill for his daughter’s medical flight, of which Highmark paid $10,571. Williams, the Air Methods executive, declined to comment on what discounts the company offers insurers, but she said it is in “active negotiation” with about a dozen insurers nationally. “Air Methods is 100 percent committed to going in-network,” she said. 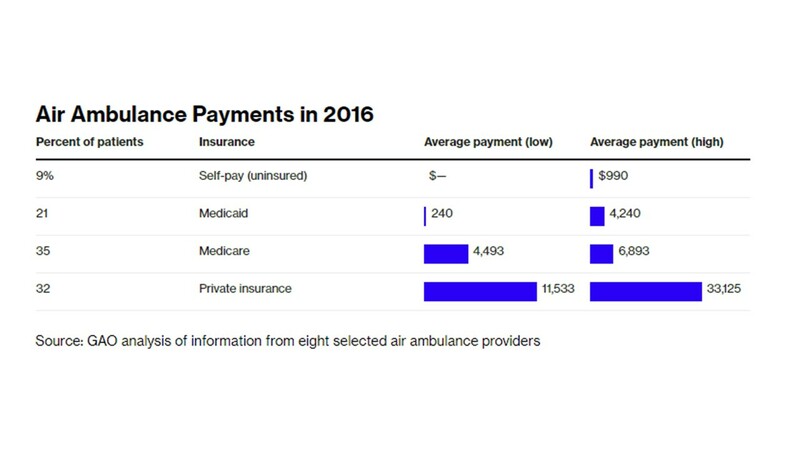 Air-ambulance providers are “using consumers as leverage with the insurance companies,” said Betsy Imholz, director of special projects at Consumers Union, who helped write a report critical of the industry. Patients are “terrified” when they receive a five-figure bill for an air ambulance and press insurers to pay more, she said. 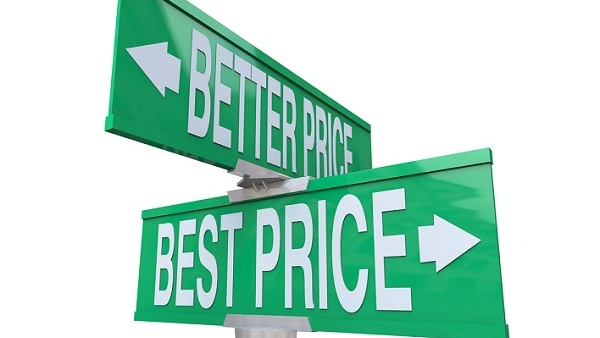 “I think there is, frankly, in many cases, price gouging going on,” Imholz said. When air travel was deregulated, the air-ambulance business was in its infancy. A few dozen medical helicopters, mostly operated by hospitals, were in use in the early 1980s, according to data compiled by Blumen, the University of Chicago emergency-medicine professor. Then, in 2002, a new Medicare payment formula “effectively raised the payment amounts for air ambulance service,” according to the GAO. At the same time, new treatments for strokes and heart attacks expanded the number of patients who could survive such episodes if medics got to them sooner. As rural hospitals closed, air ambulances became lifelines for remote communities. 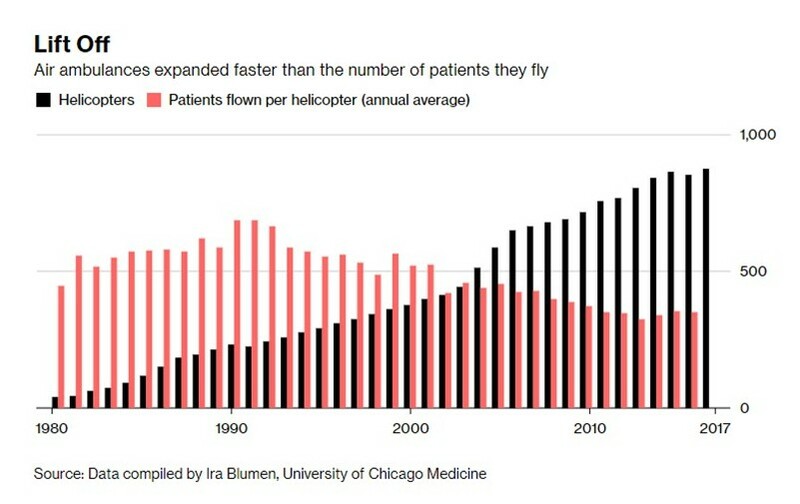 The number of aircraft grew faster than the number of patients flown. In the 1990s, each helicopter flew about 600 patients a year, on average, according to Blumen’s data. That’s fallen to about 350 in the current decade, spreading the expense of keeping each helicopter at the ready among a smaller pool of patients. While adding helicopters has expanded the reach of emergency care, “there are fewer and fewer patients that are having to pay higher and higher charges in order to facilitate this increase in access,” Aaron D. Todd, chief executive officer of Air Methods, said on an earnings call in May of 2015, before the company was taken private. “If you ask me personally, do we need 900 air medical helicopters to serve this country, I’d say probably not,” he said. Despite the apparent glut, air-ambulance operators are profitable. Air Methods had an average annual profit margin of 9.1 percent from 2012 to 2016. Over the same period, companies in the S&P 500 Health Care Providers & Services index had margins of 7.9 percent, on average. PHI, a helicopter company that operates both medical flights and transports for oil and gas drillers, reported average operating margins of 15.7 percent from 2014 to 2017 in its medical segment, compared to 10.4 percent for the benchmark index in the same period. Air Methods declined to comment on its current profitability or to share financial details as a private company. 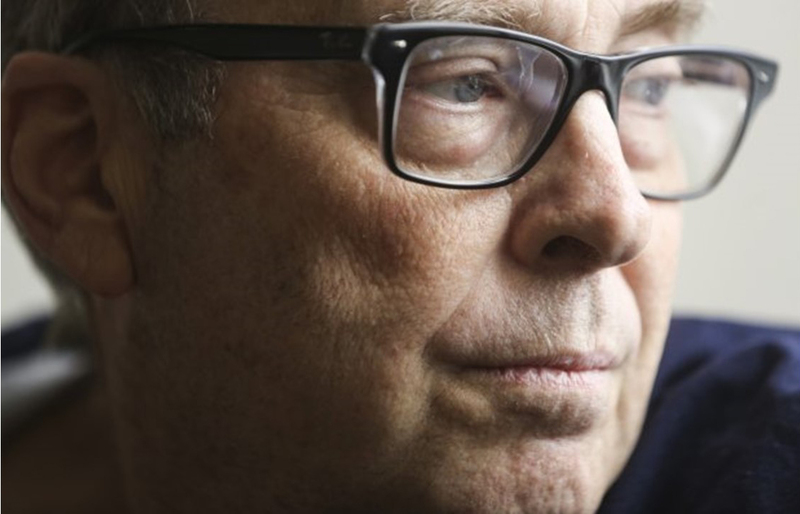 If there are too many helicopters for the number of patients who need them, market forces should force less-efficient operators out of business, said Hank Perritt, a professor at the Chicago-Kent College of Law who has studied the industry. Montana Senator Jon Tester, a Democrat, has introduced legislation that would roll back the special status of air-ambulance companies. A Federal Aviation Administration reauthorization bill passed by the House in April would make medical services provided by air ambulances subject to state regulation. In West Virginia, the Cox family went through two appeals with their health plan. After they retained a lawyer, Air Methods offered to reduce their balance to $10,000 on reviewing their tax returns, bank statements, pay stubs, and a list of assets. The family decided to sue instead. The case in Texas, which has attracted relatively little notice until now,emerges from the massive tax bill Congress passed late last year. In that, lawmakers decided to eliminate the tax penalty the ACA requires people to pay if they flout the insurance mandate. The enforcement of that requirement will end in January. Take Sen. Bernie Sanders’s Medicare for All proposal. Over the course of four years, it would systematically pry people away from their current coverage arrangements—employer-sponsored insurance, individual-market coverage, Medicare, and Medicaid—and dump them all in a government-run plan. Companion legislation spearheaded by Rep. Keith Ellison in the House would do the same. The Center for American Progress’s recently released Medicare Extra for All plan would nudge people into single-payer more gradually. Medicaid beneficiaries, the uninsured, and people with coverage through Obamacare’s exchanges would be first. Newborns and seniors turning 65 would soon follow suit. The proposal also claims to allow Americans to keep their employer-sponsored coverage. But it offers employers incentives to move their workers into Medicare Extra. The end result, after a decade or so, would be single-payer. Earlier this month, Democratic senators introduced the Choose Medicare Act, a bill that would allow individuals and employers to buy into Medicare rather than purchasing coverage from a private insurer. As long as there’s a Republican in the White House, these proposals have little chance of becoming law; consequently, many state legislators are taking matters into their own hands. The California Senate approved a single-payer bill last June. It has since stalled in the Assembly, thanks in large part to the absence of a plan to pay for it. But progressive activists, led by the California Nurses Association, have continued to pressure the Assembly speaker to act on the bill. The New York Assembly green-lit a single-payer plan last year, but it never made it out of the State Senate. Rhode Island, Washington state, New Hampshire, and Massachusetts are all in various states of exploring how they might implement single-payer within their borders. They’ll quickly find that it’s financially impossible. California’s Senate Appropriations Committee estimates that single-payer would cost $400 billion per year—roughly twice the state’s entire budget. New York’s plan would increase state health spending by more than $87 billion in 2019 and require nearly $226 billion in tax increases, according to the Foundation for Research on Equal Opportunity. Sanders’s Medicare for All plan makes these state initiatives look cheap by comparison. According to the Urban Institute, his reform package would cost $3.2 trillion a year. Proposed financing options include new payroll and individual income taxes of 7.5% and 4%, respectively—all on top of existing taxes. Single-payer wouldn’t merely harm Americans’ financial well-being—it would jeopardize their physical health. When patients face no out-of-pocket costs at the doctor’s office or hospitals, they have no incentive to moderate their consumption of care or seek lower-cost providers. The only way for governments to control spending is to ration the supply of care. Consider how things work north of the border. Canada effectively outlaws private insurance for medically necessary services—just as the Sanders plan would. Patients must wait months for routine procedures—a median of more than 21 weeks for treatment from a specialist after referral from a general practitioner. These long waits aren’t due to a lack of funding. The cost of health insurance for the average Canadian family jumped 174% over the past two decades—nearly twice as fast as incomes and four times the rate of inflation. Canadians are fed up with their “free” health care. Three in four believe they should have the right to pay for care privately if the wait they’re facing is longer than clinically recommended. Sanders and his progressive allies are working toward a revolution in the opposite direction. But it’s odd that they’re looking to mimic Canada’s single-payer model just as a strong majority of Canadians want to end their government’s ban on private insurance and permit more private options for care. Americans’ burgeoning support for Medicare for All will quickly fade when patients learn that the government will confiscate their current health plans and force them to wait in line for care—and then charge them exorbitantly high taxes for the pleasure. Sally C. Pipes is the president, CEO, and Thomas W. Smith fellow in health care policy at the Pacific Research Institute. Her latest book is The False Promise of Single-payer Health Care. Follow her on Twitter. In response to the presidential directive entitled “Promoting Healthcare Choice and Competition Across the United States,” the Secretaries of the Departments of Treasury, Labor, and Health and Human Services in February issued a proposed rule that would restore the maximum permitted period of short-term, limited-duration insurance (STLDI) to its historical length of 12 months. The 60-day public comment period closed on April 23. The Agencies should now finalize this rule. The designation of short-term, limited-duration insurance refers to health insurance products that cover a wide range of inpatient and outpatient medical expenses. However, in contrast to other types of comprehensive major medical policies, STLDI plans have fixed terms. In addition, STLDI coverage may be centered on problems most likely to arise in its purchasers. STLDI played a vital role in the individual health insurance marketplace for nearly 20 years. Many of these plans provided excellent value to consumers, especially those who were between jobs or self-employed. Following full implementation of the PPACA in 2014, STLDI became a cost-effective solution for individuals who missed open enrollment periodslacked the resources to continue employer-sponsored insurance under the Consolidated Omnibus Budget Reconciliation Act of 1985 (COBRA); were ineligible for PPACA premium tax credits; or could not afford the extremely expensive, low-value plans available on the PPACA exchanges. In addition, short-term, limited-duration insurance became the only way many individuals who travel frequently could maintain full coverage outside their local areas. STLDI’s major advantage has been exclusion from the legal definition of “individual health insurance coverage,” rendering it exempt from the PPACA’s essential benefits and other costly mandates. However, in 2016 the Obama Administration shortened the longstanding allowable length of STLDI policies from 12 to 3 months. This regulatory restriction curtailed the usefulness of STLDI plans, severely disadvantaging millions of patients and consumers in the process. Many medical, insurance, and left-of-center groups oppose the return of STLDI terms to terms to their historical length. On the one hand, these commercial interests mistakenly believe the shorter limit will force people to buy much more expensive PPACA policies, while political opponents see STLDI as a threat to the survival of the PPACA. However, despite the misleading claims of STLDI detractors, many of these policies provide affordable, high-quality coverage. The country’s largest health insurer, UnitedHealthCare, offers STLDI with a broad range of deductible and copay options that can be easily purchased on the internet. For those who travel frequently, United’s STLDI plans include the benefit of access to its large national network of well-regarded physicians, hospitals and other providers. STLDI is often very reasonably priced, and for many consumers is a preferable option to similarly PPACA excluded “shared ministry plans” to which they would otherwise turn, or to no coverage at all. Opponents of extending the permissible term of STLDI are really arguing that the federal government should coerce self-employed individuals, small business people, and the unemployed to purchase grossly overpriced health insurance to force them to subsidize the care of others, heedless of their constrained ability to pay for exchange-listed plans, their many deficiencies and limited availability, and individuals’ preferences or needs. Shortening the allowable term of STLDI plans to 3 months was a regulatory overreach that jeopardized the financial security of the millions of people those who must rely on them. As a result of this harmful move, deductibles and co-payments to reset each quarter, significantly increasing costs for patients who accrue sizable medical expenditures during the 3-month period. More important, it exposed consumers who experience illness to the risk that they will not be able to obtain coverage in subsequent quarters, raising the specter of prolonged uninsured periods during which they could incur hundreds of thousands of dollars in medical bills. Given the small number of insurance options on many exchanges, the lack of coverage for individuals who travel, and the exorbitant cost of PPACA-dictated policies, insurers should be permitted to offer 12-month STLDI insurance policies to those who need them. Further, regulators should not prevent insurers from offering renewable STLDI. Although the law excludes STLDI from the definition of individual health insurance coverage, it does not define the phrase. Instead, rightly or wrongly, Congress delegated broad authority to draw the line between STLDI and individual health insurance coverage to relevant federal agencies. From the phraseology of the legislation, it is clear that Congress intended for the agencies to have maximal flexibility in defining and promulgating rules to meet current exigencies. To distinguish individual health insurance coverage from STLDI, the agencies merely need to set requite contract terms for each type of insurance, while avoiding overlap or ambiguity, and to do so in reasonable manner. Allowing insurance companies to offer consumers renewable, 12-month short-term limited duration health insurance contracts is not only reasonable, it is the proper and morally correct policy to pursue. Roger Klein J.D., M.D. is a member of the Regulatory Transparency Project’s FDA and Health Working Group. He is a former advisor to the FDA and HHS. Dr. Klein graduated from Yale Law School and completed his postgraduate medical training at Yale Medical School. So far, few patients have received the new drugs, as commercial health plans and Medicare wrestle with how to cover the treatment. The emergence of genetics-based medicines is pushing the cost of treating certain diseases to new levels, forcing hospitals and health insurers to reckon with how to cover total costs per patient approaching a million dollars. The therapies deliver new genes or genetically altered cells to tackle some of the hardest-to-treat diseases, including in children. They come at a high price: Novartis AG listed its newly approved cell therapy for cancer at $475,000, while Gilead Sciences Inc. priced its rival drug at $373,000. But the price of the drugs is just the beginning, hospitals and insurers say. Administering these therapies can add hundreds of thousands of dollars to the tab, including lengthy hospital stays and use of other services and medicines. It isn’t clear how much hospitals will get paid for these new treatments. Current payment systems generally cover infusions of drugs, or episodes of hospital care, but aren’t set up to deal with treatments that combine both. What is clear is that the total cost will be far more than the list price of the drugs themselves. 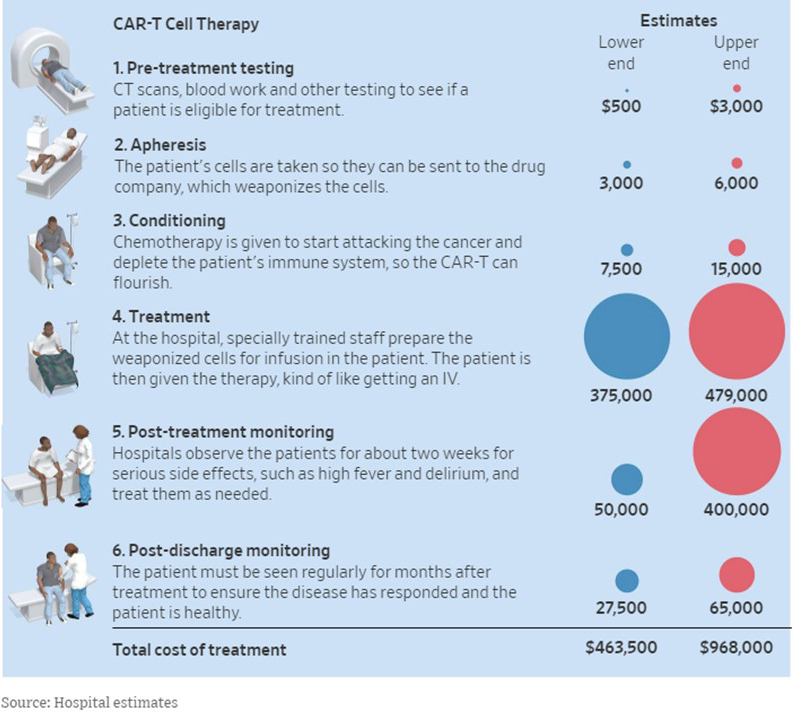 A new wave of gene-based therapies for cancer and other diseases threatens to bring the cost of treatment to a million dollars, because both the drug and related care are expensive. So far, few patients have received the new drugs, as commercial health plans and Medicare cover treatment on a case-by-case basis until they can settle on an official payment plan. Finding a path is important, as the next generation of cell- and gene-based therapies expands. Among drugs in late-stage development, Bluebird Bio ’s gene therapy for sickle-cell disease could involve a hospital stay of as long as six weeks. One of the first genetics-based treatments was Gilead’s lymphoma drug Yescarta, approved last October for use in patients who have failed other drugs. Yescarta is a form of cell therapy known as CAR-T, for chimeric antigen receptor T-cells. It uses a patient’s own immune cells, which are extracted, modified in a lab and then put back into the patient where they hunt down and attack cancer. Martin Fries’s recent treatment with Yescarta included a 13-day hospital stay, use of several other drugs and a variety of procedures that he anticipates will cost between $750,000 and $1 million. The 62-year-old pharmacist from Kissimmee, Fla., first spent a half-day at Moffitt Cancer Center in Tampa hooked up to a so-called apheresis machine. It harvested his immune cells, which were shipped to Gilead to be turned into the drug. Mr. Fries then received two chemotherapies over three days to prepare his body for the altered cells. He was admitted to the hospital in December, where the engineered cells were infused and he was monitored for side effects. Monitoring usually costs a few thousand dollars a day, hospitals say. Mr. Fries says he was treated for fever of 104.8 degrees and received a blood-plasma drug and a steroid to combat neurological side effects. In January, he got a drug called Neupogen to boost his white blood cells. And he has regular follow-ups to make sure he doesn’t have lasting neurological effects. “Already hit my total out-of-pocket of $5,000 for this year,” Mr. Fries said in March. He returned to work after scans picked up no signs of cancer. United Healthcare, Mr. Fries’s insurer, reached a deal with Moffitt for the insurer’s share of treatment, according to hospital officials, who wouldn’t reveal terms. United Healthcare says it doesn’t disclose its payments. The problem, hospitals and insurers say, is the new treatments don’t fit neatly into the existing framework in which insurers pay hospitals for care. “What is the incentive then for hospitals to provide these therapies, which are complicated and require a large investment of time and resources, if there is not a way to at least recoup costs?” says Aaron Chrisman, director of Stem Cell Transplant and Cellular Therapy Administration at the University of Chicago Medicine. Insurers don’t question the benefits of the treatments but say they are affordable only if the cost is spread over time. There is currently no payment mechanism to do so. “We either need to accept we are going to see a bump-up in premiums—which I don’t think we want, honestly–or we have to figure out how to pay for them over time,” says Michael Sherman, chief medical officer of Harvard Pilgrim Health Care Inc. The federal government’s Centers for Medicare and Medicaid Services hasn’t said whether it will cover the drugs, according to hospitals. The decision is left to contractors around the country that process Medicare claims, only some of which have said Medicare will pay. Hospitals have been lobbying for a reimbursement pathway. CMS has taken steps toward developing payments to cover CAR-T and is working on more, a spokesman says. On Tuesday, the agency proposed changes for fiscal year 2019 that hospitals say would help cover more of their costs associated with providing the new therapies. Kathryn VanGilder, a retired teacher from Fairmont, W.Va., who is on Medicare, says she struggled to find a hospital to provide treatment, partly because of uncertain reimbursements. The James Cancer Center at Ohio State University eventually gave her Yescarta in January, Ms. VanGilder says, after she got U.S. Sen. Joseph Manchin’s help in getting a letter from a Medicare contractor stating it would review payment after treatment. The hospital said it treated Ms. VanGilder even though Medicare won’t cover all of its costs. “In the six weeks I waited,” says Ms. VanGilder, 66, a small tumor in one lymph node “had spread all through my abdomen and throat.” She says her latest tests showed the cancer was eliminated. Gilead reported $7 million in sales from Yescarta during the final three months of 2017, while Novartis said Kymriah had $12 million in sales during the first quarter of 2018. Spokesmen for both companies said they are working with government and private insurers to make sure appropriate patients get the new drugs. Health insurance is as important to your retirement security as home and auto insurance. That’s because costs of major health issues, like the cost of a catastrophic accident or losing your home to a fire, if not insured, could wipe you our financially. 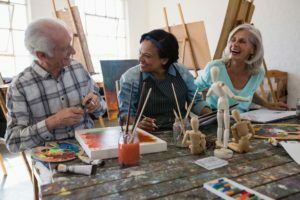 But unlike home and autos – which can be paid off and considered assets, your health is never paid in full – and estimates forecast that the average 65-year-old couple can expect health care costs of more than $275,000 in their retirement years. Unless your retirement package includes ongoing coverage and guaranteed eligibility for supplemental insurance, many people risk spending the bulk of their retirement savings on the aftermath of a major medical event. While the fine no longer exists, two recent versions of the bill suggested people without insurance for more than 63 days would have to pay a 30% premium penalty or forgo coverage for six months. Here’s the point: no matter how well-thought-out a retirement plan is, failure to account for insurance needs puts a financially secure retirement at risk. When you get serious about planning for retirement, we can work with you to help you predict what your out-of-pocket premiums might be. Based on that we can help you allocate funds between savings and a Living Benefits Health Insurance Policy to insure that you can comfortably meet those predictions. Know your risks — and make sure they’re covered. Know your specific health risks, and know which currently available insurance options cover them. This will serve as an excellent guide to planning for healthcare needs in retirement. If you’re in excellent health and have no risk factors or history of life-threatening illnesses, it might seem like a good idea to focus solely on coverage for major medical events. That strategy could cut down expenses, but it also leaves a significant gap in coverage. As professionals with a long-standing track record for successfully protecting our clients, we can help you with this. The goal is to cover as many bases as possible. Even something as simple as appendicitis could cost more than $55,000 — Without the right insurance policy, the experience could be catastrophic, both financially and emotionally. Making sure the whole family is prepared for the worst can be difficult, but it’s absolutely necessary, and part of how we help our clients protect their loved ones. Call us now at 1-800-257-1723 or click here for an appointment.